The Bootstrap Framework is the most popular HTML, CSS, and JS framework for developing responsive, mobile first projects on the web. Bootstrap makes front-end web development faster and easier. It’s made for folks of all skill levels, devices of all shapes, and projects of all sizes. It is no wonder that there are now many WordPress themes that utilize the Bootstrap framework for their frontend presentation. Creating a theme using Bootstrap is not very challenging and the developer can focus and customizing the design and providing features in the theme, leaving the responsiveness and base styling to the framework. 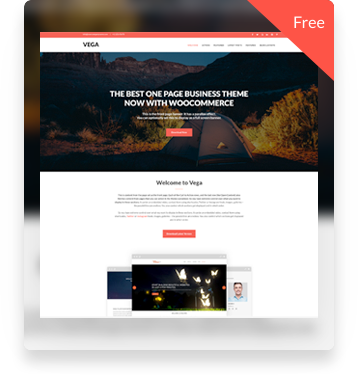 Due to the popularity of and ease of use of the framework, it goes without saying that there is an abundance of free Bootstrap WordPress themes. 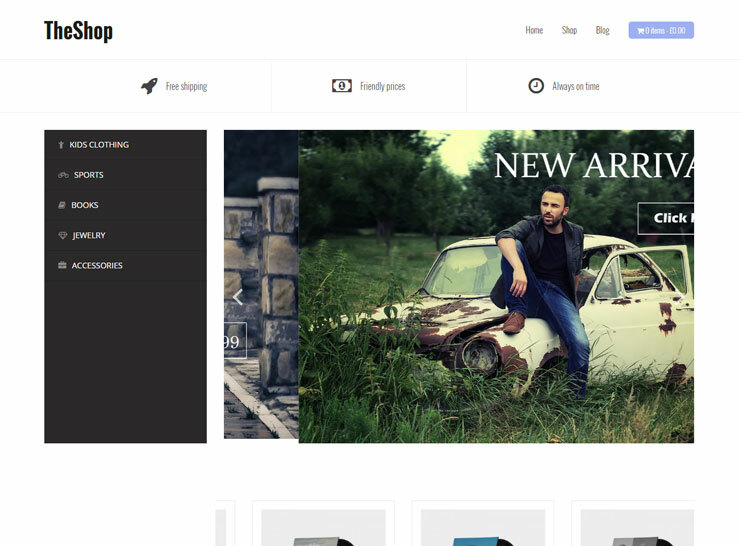 Why might you be looking for a free Bootstrap theme? You can be a developer looking to built upon a freely available theme that utilizes the popular framework. 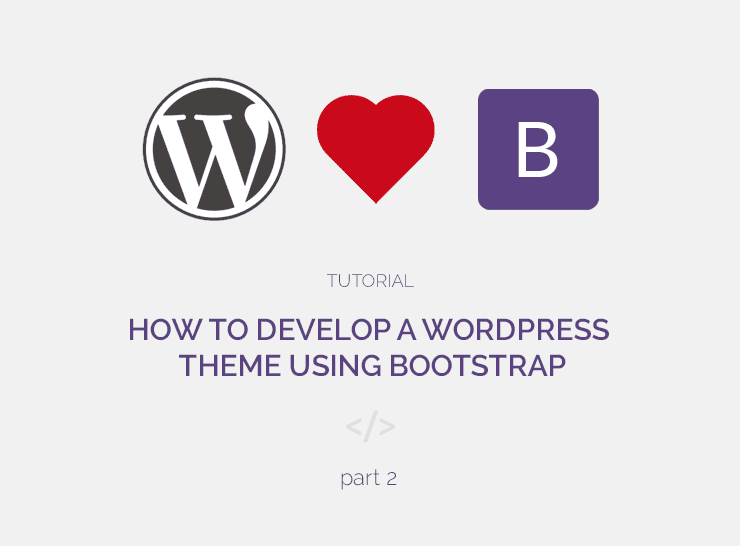 Or you may want to use a plugin or shortcode that uses Bootstrap to present content, along with your Bootstrap WordPress theme. Bootstrap’s ease of use and moderate learning curve are the reasons it was adopted so quickly and so extensively by developers on all platforms. 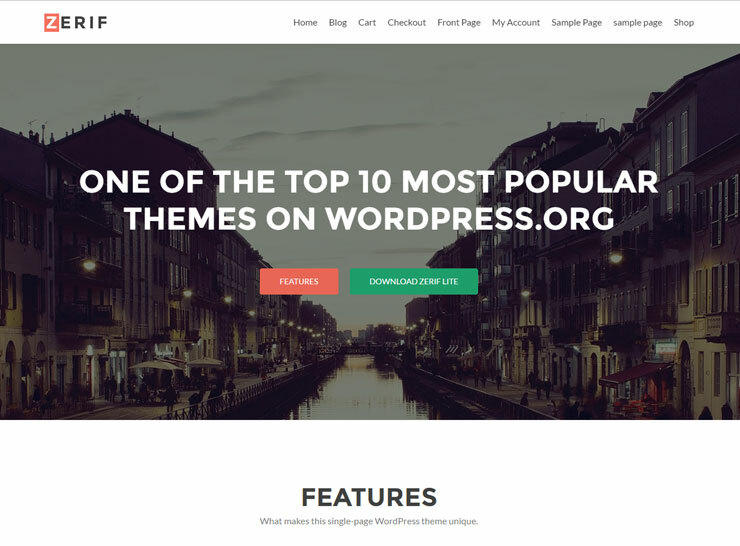 Understandably, there are many premium and free Bootstrap WordPress themes and sifting through them to find the one most suited to your needs is a herculean task. Here we list some of the best maintained, latest, and feature packed WordPress themes created using the Bootstrap framework. 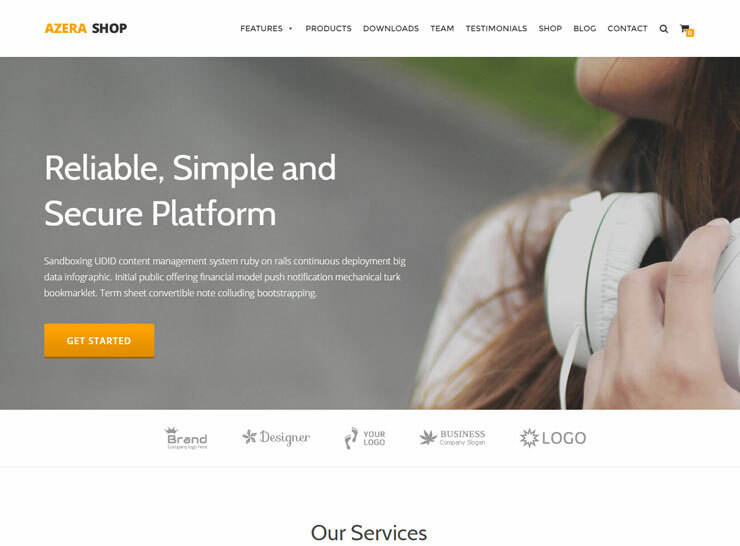 All these free Bootstrap themes require a self-hosted WordPress site. 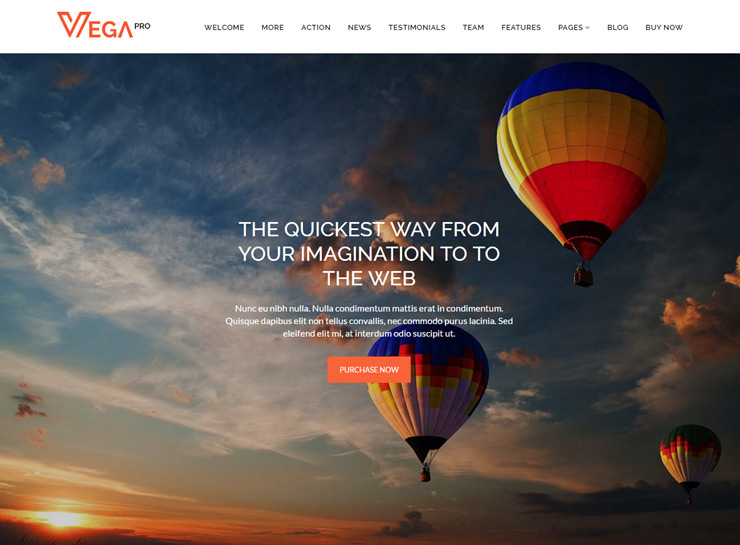 Vega is a multipurpose, single page free Bootstrap WordPress theme that can be used for a variety of purposes. The theme has some amazing features that can be utilized to create a full fledged small business, portfolio, or creative website. The header has an amazing parallax effect, and it can be set to a full screen image or a normal banner. The theme utilizes some subtle yet very effective animation effects to give your website a lot of class and character. This professionally designed and carefully crafted theme gives you complete control over every aspect of your website. Vega features multiple blog feed layouts. Each page can have a separate header banner or choose to not show one at all. There are multiple footer widgets that can be used to set two rows in the footer. Two parallax background call to action sections, featured pages, and open content areas give you ample opportunity to showcase your business and services. 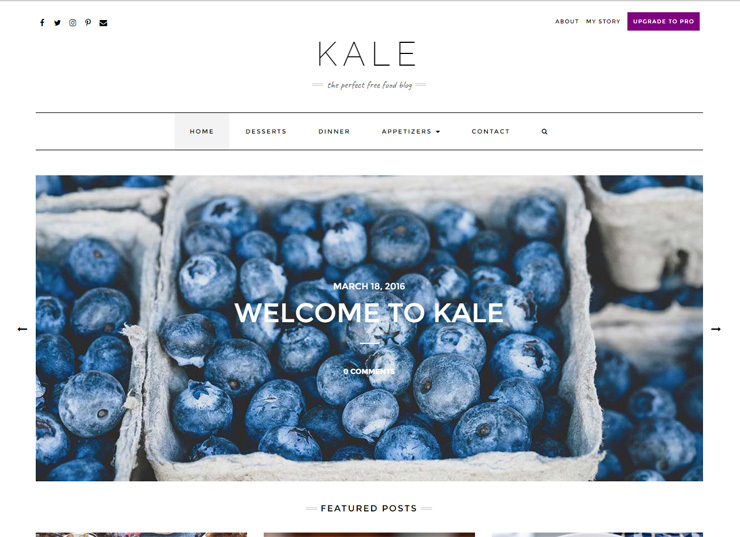 Kale is a professionally designed, meticulously crafted, fully featured free food blog theme that is best suited for food and lifestyle blogs. It has many “premium” features, such as a choice between a slider or banner, custom background image, multiple blog feed layouts, and special content spots on the home page for showcasing some of your more important posts. It has a Pro version which has a whole lot more features, but the free version is quite sufficient on its own for setting up a full fledged, gorgeous personal or food blog. Kale comes with integration with the newsletter plugin MailPoet and the Recent Posts Widget With Thumbnails plugin. It also has options for displaying a text logo, so you are good to go as soon as you install the theme. Showcase your featured posts on the home page to draw attention to your most important work. Another unique feature of the Kale Food Blog Theme is the highlight post which is a post you can designate to show as a a large highlighted post right after the blog feed on the front page. Another unique feature of Kale is its optional mixed blog feed format: two blog posts are displayed side by side with small thumbnails and every third is displayed in a full format with a large image and full content shown below. Setting up social media icons and links is super easy with Kale. The category layout is a unique grid format, structuring your recipes and posts in an easy to read, readily available arrangement. The header and footer are widget friendly, thus giving you a lot of space to utilize for ads, special content, information, feeds, and links. 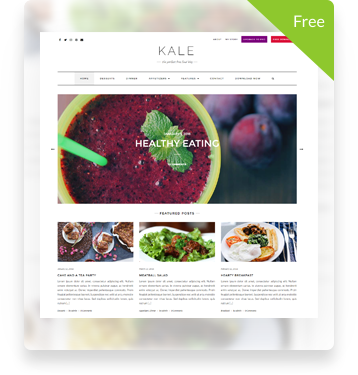 All in all, Kale is an entirely engaging and inviting, visually pristine, and technologically resourceful food, personal, or lifestyle blogging theme that is easy to setup and extremely flexible. 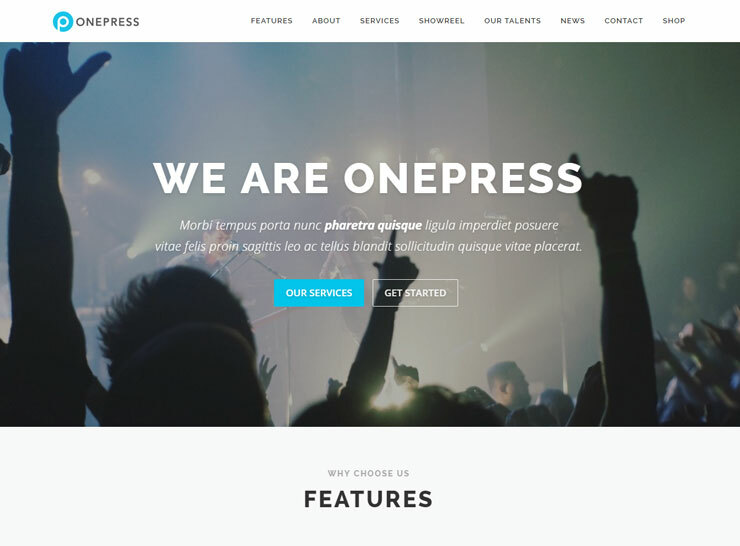 OnePress is a popular WordPress theme built using the Bootstrap Framework. It is well suited for business, portfolio, digital agency, product showcase and freelancers websites. OnePress features a large slider with animated captions on the home page which gives your website an impressive entrance. The theme has a great layout that will be suitable for most small businesses and the various sections can be used to showcase some great content about your company. It has a section with parallax background functionality, giving your website an oomph. The theme is a class one, and most businesses will be able to relate to it and use it for their own purposes. It integrates well with WooCommerce as well, so you’re good to go if you’re looking to sell products or services online. 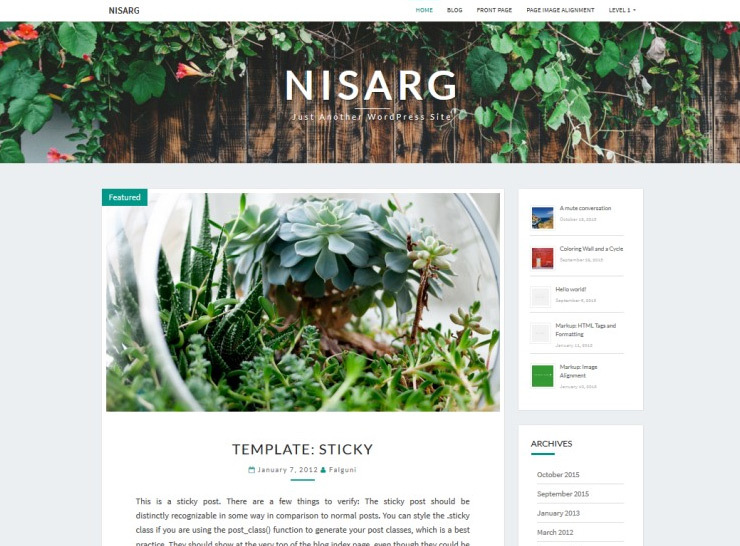 You cannot go wrong with Nisarg, if you’re looking for a great blogging theme. Simple yet elegant, clean and charismatic, Nisarg is a popular theme on the WordPress.org repository with more than 10,000 active installs. Nisarg is translation ready and capable of creating stunning blogs and websites. Well suited for travel, photography, recipe, design, art, personal, or any other creative blogs or websites, Nisarg puts the focus on your content and images without overwhelming the readers. Based on Bootstrap 3, Nisarg is fully responsive and looks amazing on mobile phones and tablets. The theme can be fully setup and customized from the Customize menu in the WordPress admin area. Make your website unique by setting up a header image of flexible height, custom background image or background color, header text color and accent color. The multiple post formats supported by Nisarg, including video, image, aside, status, audio, quote, link, and gallery, make it a clear win. StanleyWP is an extremely simple, elegant, aesthetically pleasing free Bootstrap based WordPress theme that can be used to showcase your portfolio and work in a simple effective way. 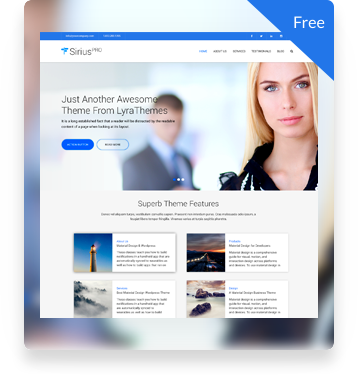 Built-in features include a theme options panel, drag and drop home page builder, portfolio post types, three page templates, and a great responsive design. The custom portfolio post types make it easy to for you to set up a portfolio and portfolio pages. Each portfolio page gives you the opportunity to describe the project and upload pictures related to the project. The simplistic design is perfect for freelancers or small companies looking to showcase their work. CleanBlog is a free blogging theme that is also based on the Bootstrap CSS framework. It is a clean, simple and minimal blogging theme that is perfect for all kinds of blogs such as personal blogs, food blogs, fashion blogs, or an online journal. It features a big slider on the front page that can be used to showcase important content. It has the option to show the sidebar on the left or right. The theme has multiple blog feed and page layouts to choose from. The theme customizer makes it easy to set up the theme. It is translation ready and optimized for search engines.